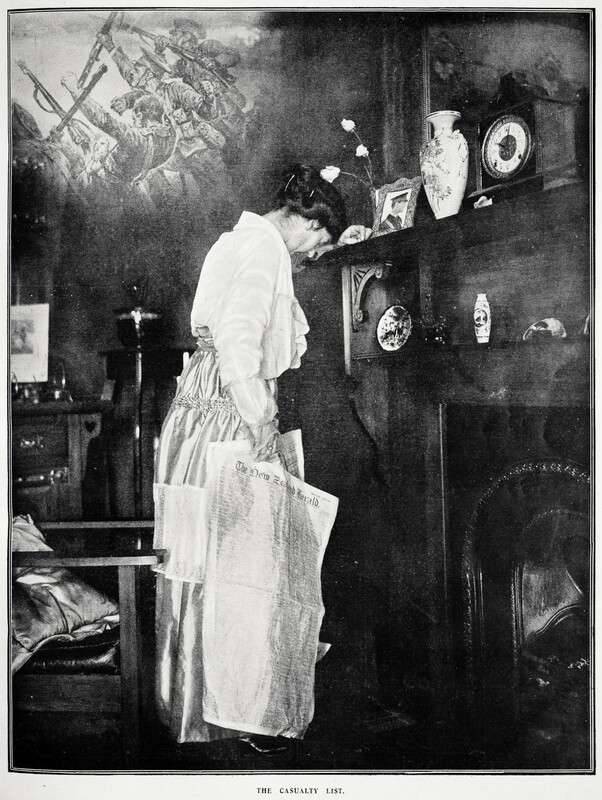 Perhaps the best known image from the Weekly News is ‘The Casualty List’, which shows a grieving mother having read of the death of a loved one when New Zealand troops were fighting on the Western Front during 1916. 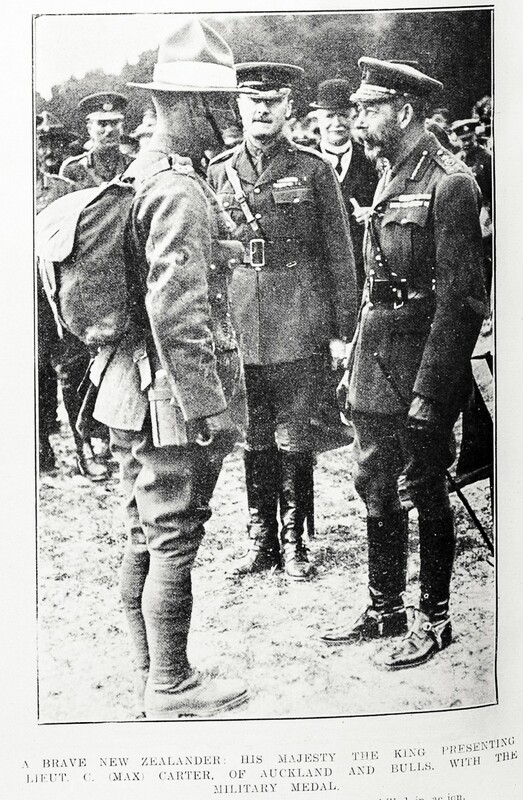 Ref: Auckland Weekly News, The casualty list, 27 July 1916, Sir George Grey Special Collections, Auckland Libraries, AWNS-19160727-35-1. 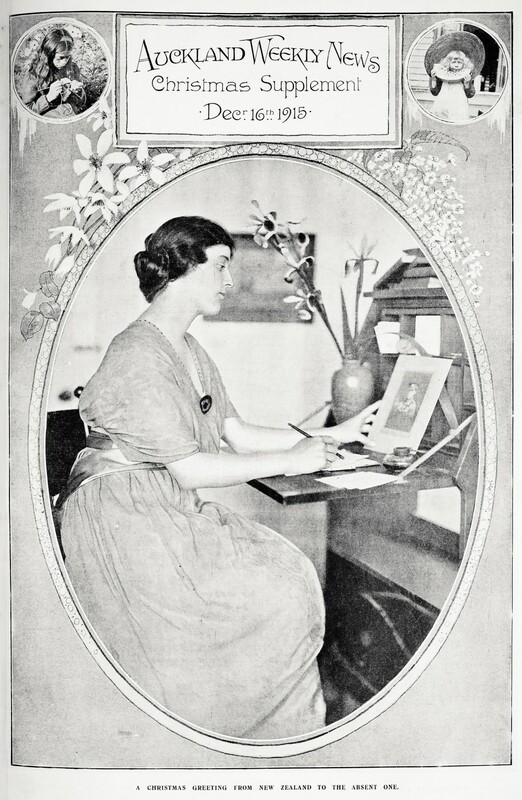 Ref: L.N.A. 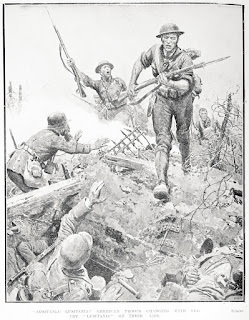 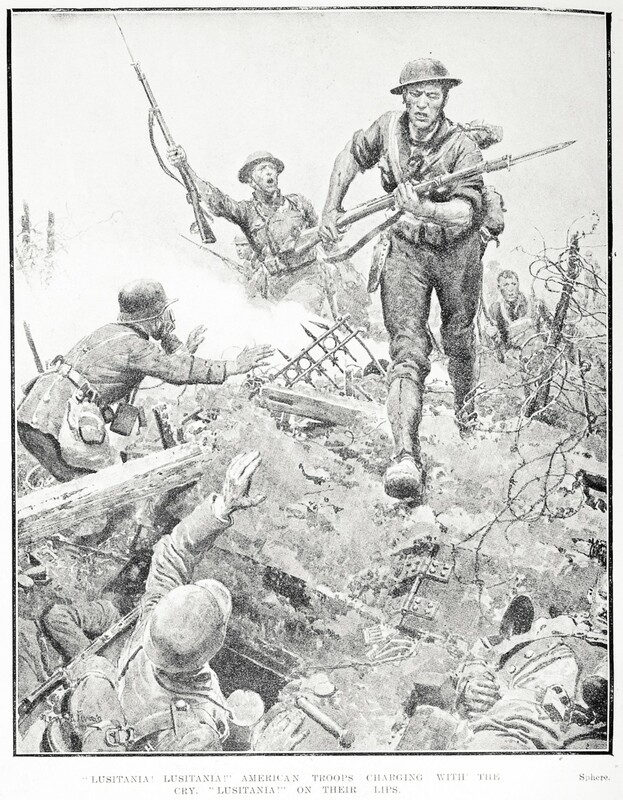 for the Auckland Weekly News, The attack, 7 September 1916, Sir George Grey Special Collections, Auckland Libraries, AWNS-19160907-36-1. 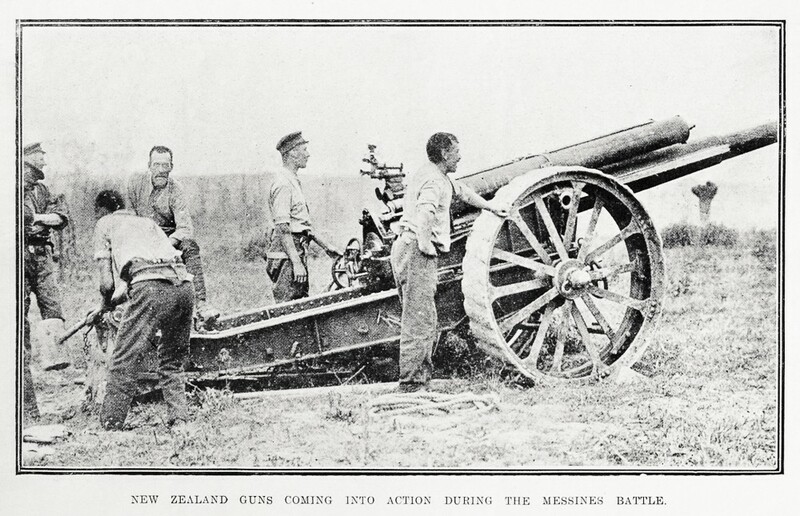 Ref: Auckland Weekly News, New Zealand guns coming into action during the Messines battle, 11 October 1917, Sir George Grey Special Collections, Auckland Libraries, AWNS-19171011-38-2. 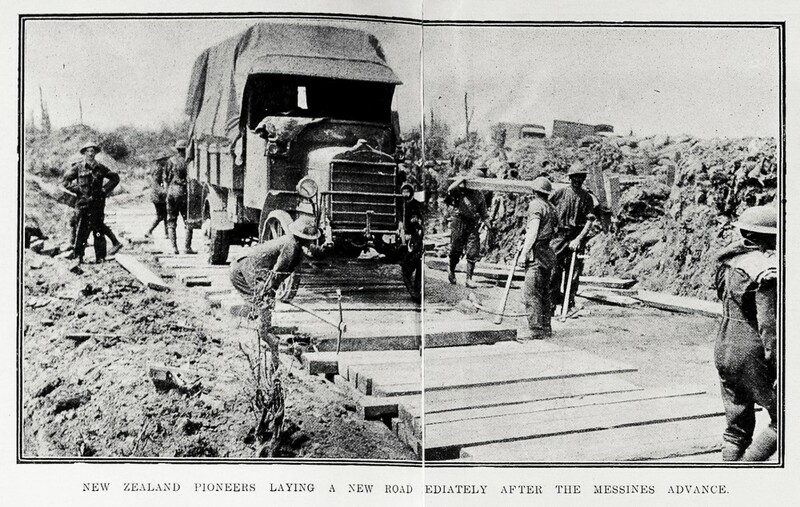 And here are the New Zealand Pioneers building a road after the battle. 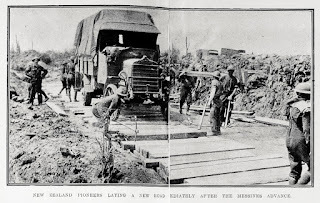 Ref: Auckland Weekly News, New Zealand Pioneers laying a new road immediately after the Messines advance, 11 October 1917, Sir George Grey Special Collections, Auckland Libraries, AWNS-19171011-39-1. 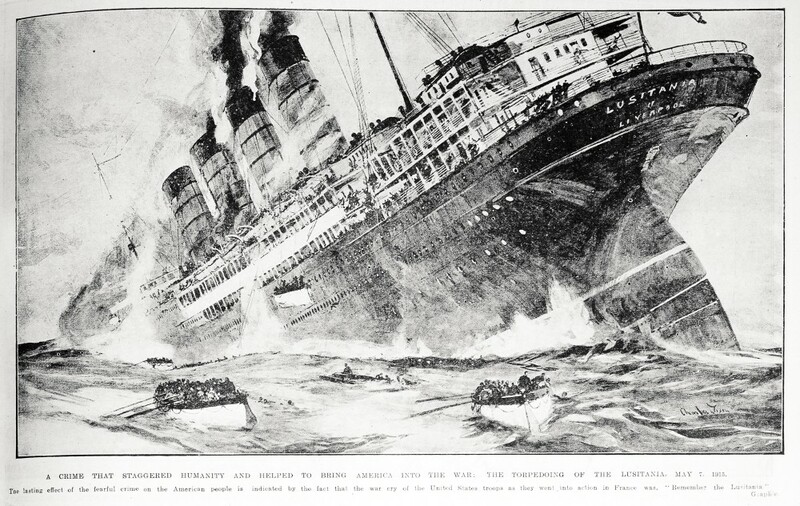 Ref: Sphere for the Auckland Weekly News, "Lusitania, Lusitania", 12 September 1918, Sir George Grey Special Collections, Auckland Libraries, AWNS-19180912-34-2. 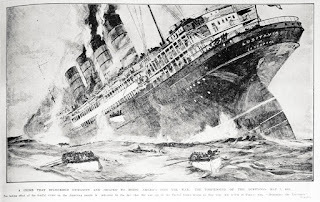 And even in victory readers were reminded of the sinking of the Lusitania in 1915, just so that the public did not forget how beastly and unprincipled the Germans were, bullying the Belgians and indiscriminately killing civilians – which after all was the reason for fighting ‘the Great War for Civilisation’. 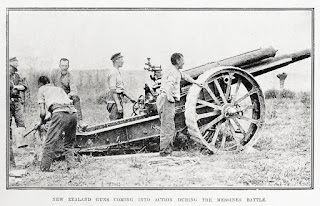 Ref: Auckland Weekly News, A crime that staggered humanity and helped to bring America into the war, 21 November 1918, Sir George Grey Special Collections, Auckland Libraries, AWNS-19181121-37-1. 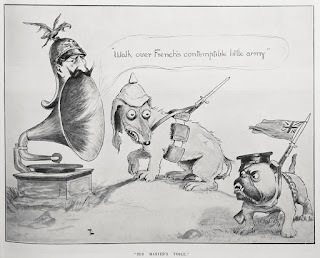 Ref: Auckland Weekly News, A brave New Zealander, 26 December 1918, Sir George Grey Special Collections, Auckland Libraries, AWNS-19181226-36-7. And finally here is Trevor Lloyd’s last comment on Germany’s war ambitions, as the British Lion tows the German High Seas Fleet into captivity. Ref: Auckland Weekly News, Der tag, 5 December 1918, Sir George Grey Special Collections, Auckland Libraries, AWNS-19181205-42-5.